Campaign for the American Reader: Pg. 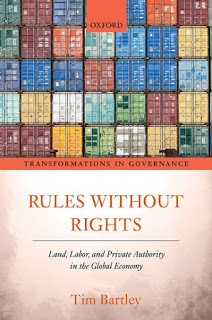 99: Tim Bartley's "Rules without Rights"
Featured at the Page 99 Test: Rules without Rights: Land, Labor, and Private Authority in the Global Economy by Tim Bartley. The Page 99 Test: Rules without Rights.